HD remakes are all the rage in console land at the moment, and we’ve even seen a few turn up on PC too. But if you’re tired of checking the release calendar and seeing names of games you bought five years ago, you may find EA’s response to the whole thing a refreshing change. They’re not interested in remaking any of their games. “It feels like pushing stuff out because you’ve run out of ideas,” said EA COO Peter Moore in a talk with IGN. “Remakes, because of who we are, and this broad portfolio of intellectual property… you add all that together, I don’t know where we find the time to do remakes. For EA, it seems like they’d rather push forward into areas they’ve not explored before, such as big open-world sandbox games. 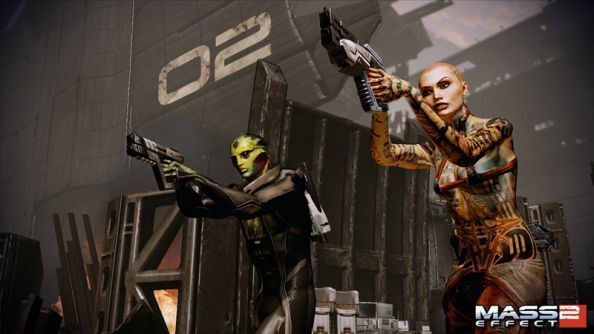 If you were hoping for a shiny HD do-over of Mass Effect, I’m afraid that’s not in your future.